Martin discussed with us how to work everything. They left us with some yummy food and drink for free. The guests are very nice, always ready to help and communicative. We liked very much the way they welcome us, with the little kitchen full of goodies, just perfect for the first breakfast. The portfolio with information about the village and the property was really helpful! 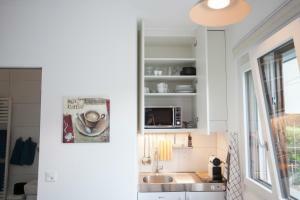 It is small studio apartment, at start it looked to me too small but at end we manage there very well. all required facilities exists, very very clean and well maintained. the parking a bit challenging and it ~30 min. from Luzern. nothing to do at night.. we liked the place and recommend it. absolutely perfect! clean room, friendly host, nice view, good wifi... I'm really looking forword to visit here again!! Very comfortable for family. The hosts are very kind and helpful. They had prepared everything made us feel as staying home. Many thanks for fruits, drinks and bread for welcoming. The room is widely and full equiped. Recommend to stay. The host picked us from the train station on the first day as well as dropped off on the last day as we had luggage. He was very helpful and also provided us umbrellas to use when it was raining. The view, the host, the apartment absolutely everything very recommend. The apartment is fully equipped. There is a notebook with every question you might ask, including close POIs and other info. We even got some fruits and beverages. 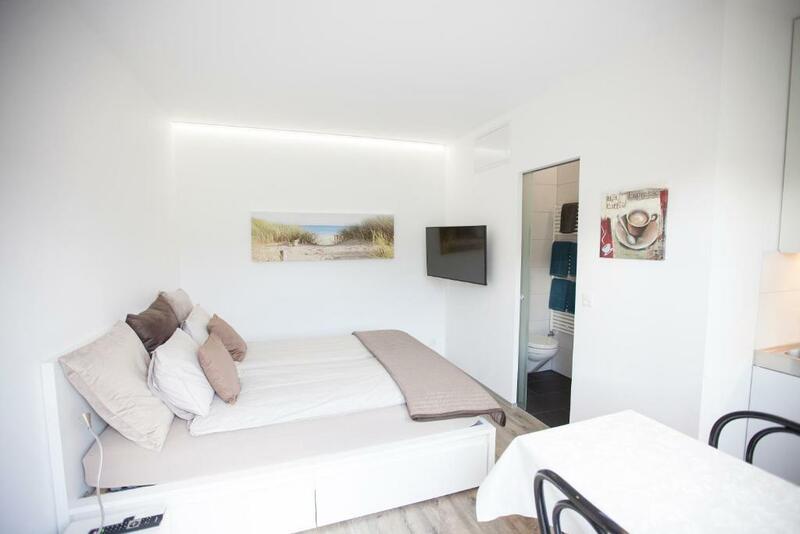 Lock in a great price for apartment Monte Castello – rated 9.5 by recent guests! 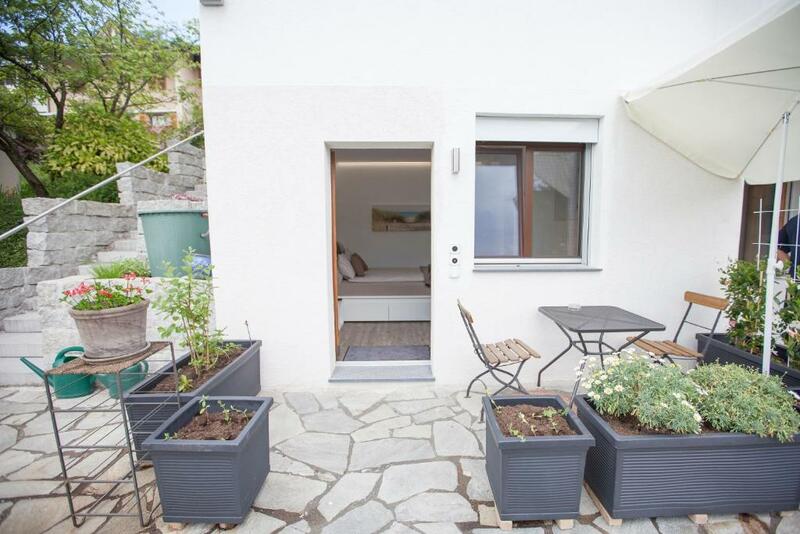 Located in Wolhusen, 14 miles from Lucerne, apartment Monte Castello has barbecue facilities and free WiFi. All of the units feature a private bathroom, flat-screen TV and fully-equipped kitchen. There's a seating and/or dining area in some units. 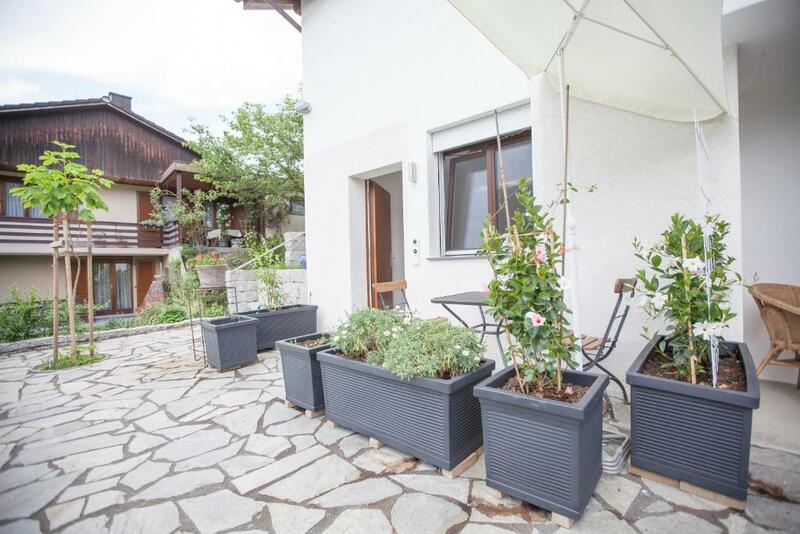 A terrace and ski storage space can be found at apartment Monte Castello, along with a garden. Zug is 31 miles from the accommodation. Belp Airport is 43 miles away. This property also has one of the top-rated locations in Wolhusen! Guests are happier about it compared to other properties in the area. This property is also rated for the best value in Wolhusen! Guests are getting more for their money when compared to other properties in this city. 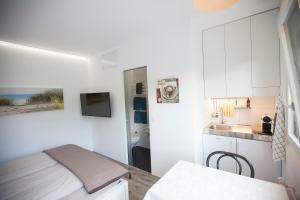 When would you like to stay at apartment Monte Castello? This apartment has a kitchen, oven and tumble dryer. 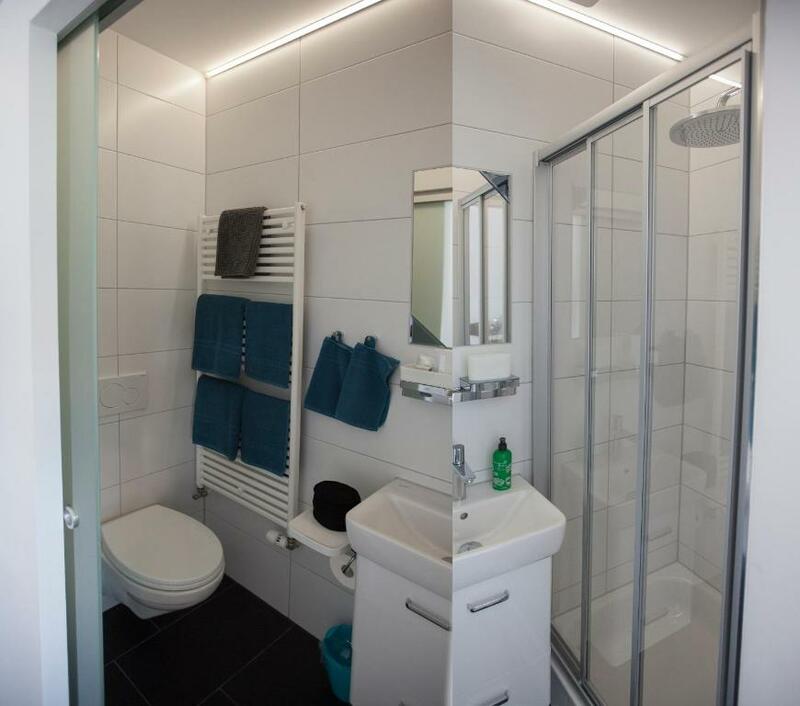 Gemütliche Wohnung mit separatem Eingang. 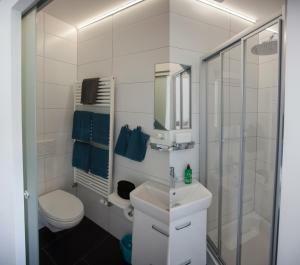 Mit Schlafzimmer, Wohnzimmer, Badezimmer und Küche. Wir haben Spass, dass die Welt zu uns auf Besuch ist. Alle sind herzlich willkommen. Wolhusen liegt nur 20 Minuten mit Auto oder Zug westlich von der Stadt Luzern. Wolhusen ist ländlich und umgeben von viel Natur. 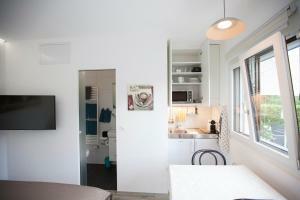 House Rules apartment Monte Castello takes special requests – add in the next step! apartment Monte Castello accepts these cards and reserves the right to temporarily hold an amount prior to arrival. Please inform apartment Monte Castello of your expected arrival time in advance. You can use the Special Requests box when booking, or contact the property directly using the contact details in your confirmation. WiFi signal was not working time to time. But we were there to travel, so wifi was not that important issue for us. The shower takes a long time to turn off had to hold button in for over two minutes before the shower would turn off. Very nice and helpful host. The internet should be more signal. Really cosy and confortable place. Super clean. Great welcome from Martin. Nice view. We loved our stay there ! i like every think but tea was not strong for me next time try P and G tea its really nice and strong specially if some coming from Asia or from UK they like strong tea. The studio had all we needed. It’s clean and cozy. The housekeeper told us about places around and gave useful advice. Martin was there to welcome us and show us around. The apartment has everything you could need and included a few little welcome items such as bread, milk and water; just what you want after a long journey. Everything worked well, was clean and easy to use. Great location to explore Lucerne and the surrounding area. Good advice from Martin on local trips.